Padlocks Phoenix | Local 24 Hour Service | Metro Lock & Safe Inc.
Padlocks have long been used as a measure for added security, whether it’s for securing doors, cabinets, files, or other areas. Metro Lock & Safe Inc. offers a wide variety of options to choose the most reliable padlocks in Phoenix for the job. If you’ve never ordered a padlock before, our experts can walk you through the basics of how to choose the right one. Standard padlocks come with three major components: a body, shackle, and locking mechanism. Some come with added features such as weatherproof casing, or high-security measures like anti-drilling or anti-cropping protection. Standard padlocks come in a wide variety of shapes and sizes, with varying quality and security. Comparing sizes, shapes, and body construction (steel, brass), figuring out the difference between “open” and “closed” shackles, what kind of key you need, and how many pins your padlock should have is what we’re here to help with. 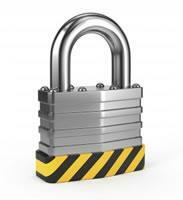 If your security needs extend beyond standard padlocks, we also provide high-security padlocks in Phoenix. These padlocks locks cannot be picked or drilled, because they have a hardened steel bolt latch. Interior steel pins prevent drilling, and high-security keys cannot be cut at a traditional hardware store or from just any locksmith. These padlocks should have either “Sold Secure” or “CEN” ratings, which are industry-regulated and provide you with the highest level of proven security. 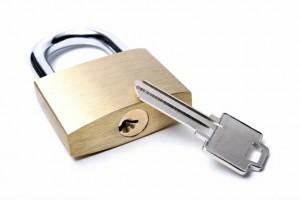 Your security system is only as strong as the weakest link, so choosing the right padlocks in Phoenix is important to ensure your facilities get maximum protection. Contact us today for more information on padlocks in Phoenix!